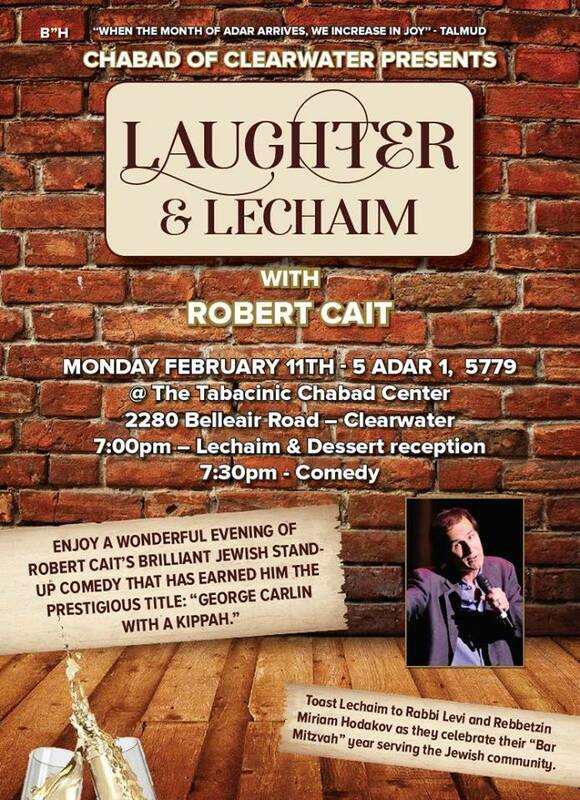 Enjoy Robert Cait brilliant Jewish stand-up comedy that has earned him the prestigious title:" George Carlin with a Kippah." Please join us for a special evening of Laughter & Lechaim. And toast Lechaim to Rabbi Levi and Rebbetzin Miriam Hodakov as they celebrate their "Bar Mitzvah" year serving the Jewish community.